Apostolic Revelation: Will Antichrist Bring Peace Or Turmoil On Earth? Will Antichrist Bring Peace Or Turmoil On Earth? When Will Peace On Earth Be Shattered During The End Time? Question : Thanks for your end time view of "Real Pre-Trib Rapture" that fits the Scriptural basis to explain everything. My questions is, In the end time events when will it be peaceful for all the people of the world and when will the torture of Antichrist will take place. I am not yet clear regarding this, so can you please clear this up. Answer: Greetings in Jesus wonderful name! The world will be more and more shaken by the Lord from heaven as loveless and lawless life of humans begins to increase further and further in this planet earth during this end of end time (Isa 2:19-21, 12, 17; Heb 12:25-29; Matt 24:6-7, 12). As the deceptions of the devils increase more than ever in this end of end time, God has clearly warned all the believers not to get succumbed in to it because of lack of knowledge of the Word of God and thus perish before time uselessly without fulfilling God's purpose for our lives on earth (Matt 24:4-5). 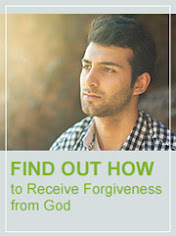 God will start to reveal His shaking of earth to bring down human's pride through famines, pestilences and earth quakes in various places which the world's media usually attributes to global warming or such false theories except accept that these are acts of God who wants all humans to turn to Him for salvation (Matt 24:7). I think only insurance companies accept these as acts of God and thus do not pay those insurers their money back as they will lose everything they own in such a case. But no matter what the shaking that God will do when the beginning of sorrows takes place (Matt 24:8), all the nations on this earth will try to bring their own solution to prevent these things from taking place rather than accept the Lordship of God and His Christ during these times. Hence the end time buzzword for all politician on this planet earth will be "Peace and Safety!" 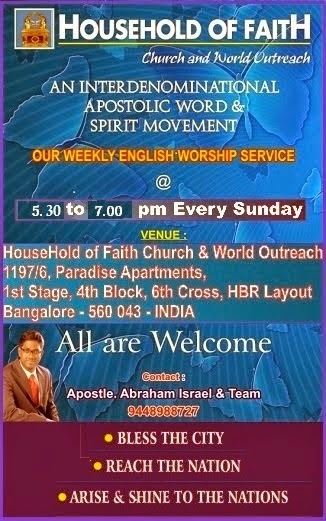 (1 Thess 5:2-3), by which all will try to deny God's role in the end time event of Daniel's seventieth week (Daniel 9:27). All the nations and people who do not know their God will hate the nation of Israel because of the problems they will face to establish the city of Jerusalem as their eternal capital (Zec 12:3; Dan 11:32-33). The nations around the world will be gathered together and a peace covenant Antichrist will make with them all deceitfully to act as though he wants the Jews of the nation of Israel to be favored with a Third temple for it to worship and establish their religious capital as Jerusalem, when in fact his heart will think otherwise to gain a standing for himself in the whole wide world as a man of peace. So the end of the end times will begin with this covenant that the Antichrist makes on for the nation of Israel with all the nations of the world (Dan 9:27). The whole world except the people who know their God will be deceived to believe that peace and safety will prevail in the whole wide world because of this man whom the Scripture reveals as a man of sin and thus being noted as the Antichrist. So here is the artificial deceitful peace saga of Antichrist to the whole wide world that will lull them spiritually in to sleep during the first three and a half years until the abomination of desolation which is the exact three and a half year where Antichrist will begin to come inside the third Jewish temple and sit in the holy of holies or the holiest place of the Inner court to declare himself as the god of the whole wide world (2 Thess 2:3-4). Until this point of time the lull of spiritual sleep that has happened will suddenly get serious in the whole wide world as Antichrist will begin to take over other nations by his tyranny and force through instilling fear around the world. He will actually conquer three other powerful world confederacy under him and the world will then join with him. Then he will begin to establish a religion in which he will want the worship of all people for himself, during this time a false prophet will arise to help him take a world wide census and seal all the people with a mark to make them trade for living (Rev 13:11-18). Just after the abomination of desolation and before the seal of the mark that Antichrist will enforce upon the whole wide world, the Church will be raptured to the New Jerusalem which is our Father's house in which mansions are prepared for us to stay (John 14:2-4). God gave peace on earth through Jesus' birth to all mankind and it got established later by His body on earth which is the Church so until the rapture happens to take the Church out it will be peaceful green line of peace of God's favor that mankind will experience from God because of the Church on earth (Luke 2:14), in this time there will be a great increase in material prosperity of nations around the world. But once rapture happens it will become a red line on earth which indicates that turmoil of tyranny from Antichrist and the sorrows of great destruction from the wrath of God will begin to take peace totally out of the world throughout the earth until Jesus comes again in His Second Coming to this earth to destroy the evil Antichrist and establish the kingdom of God for a thousand years in which He will forcefully maintain peace supernaturally in all the earth (Rev 19:15, 19-21; 20:4-6). The nation of Israel will realize that they have been deceived by Antichrist only after the abomination of desolation and the rapture of the Church to some extent, but only before the war of Armageddon they will fully understand and cry out for the Messiah's help to come and save them all of them from the Annihilation of Antichrist (Zec 12:10-11), during which time Jesus and His glorious armies of God from heaven will come and defeat the whole army of Antichrist totally. The nation of Israel will be given a false peace of safety and security by Antichrist right from the day he will make a covenant with nations to make way for the Jews to build a third temple to worship on Mount Moriah where the Old first and second temples once stood (Dan 9:27; Ezek 38:11, 14-16). By the way this false safety and peace that Antichrist gave will be shattered right from the day of abomination of desolation for the true spiritually devoted Jews, but for the political minded Jews it will get totally shattered before the day of the battle of Armageddon when the Antichrist with a world army will come to destroy the nation of Israel and take plunder (Ezek 38:11-23; Rev 19:19-21). Here are 50 reasons I have given why Ezekiel 38-39 is the Battle of Armageddon : http://www.apostolicrevelation.info/2009/05/ezekiel-38-39-and-battle-of-armageddon.html, and this will prove beyond a doubt that the final war between good and evil will be the day of battle done in Armageddon, and therefore it cannot take place until the end of the 70th Week of Daniel come at the Second Coming of our Lord Jesus Christ. So the red line of peacelessness that starts after the rapture of the Church in Daniel 70th Week will continue till Jesus comes and destroys Antichrist in the war of Armageddon. 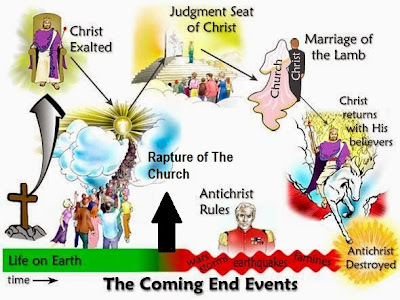 Because Christ has been exalted and rules over the Church in all the nations of the earth (Matt 28:18), the green line of peace and rest cannot fully be taken away from earth until the Church which is Jesus Christ's body will be taken out of this earth during rapture of the Church after which all hell will break loose on this earth (1 Thess 1:10; 2 Thess 1:7-10; Rom 5:9-10; 1 Peter 1:5; Rev 2:22; 3:10; Luke 17:26-37; 21:34-36; Matt 24:36-44, 26-28, 20-21; Mark 13:32-37; 2 Peter 2:6-11; 1 Cor 6:19; Heb 3:6; 1 Cor 12:27; Gen 19:14-26). This is what Apostle Paul said when he talked about the world's peace within the 2nd half of the Daniel's 70th Week, "3 For when they say, “Peace and safety!” then sudden destruction comes upon them, as labor pains upon a pregnant woman. And they shall not escape." (1 Thess 5:3, NKJV). The same sudden destruction told by Paul the Apostle was referred by Jesus as the Great Tribulation in his speech for the end time believers (Matt 24:20-22), He also greatly warned all the end time believers of the Church which is His body to be vigilant enough right after the abomination of desolation and flee away from Jerusalem physically (Matt 24:15-16), because God has promised that during that time and season, rapture will take place (Matt 24:27-28). Actually three and half years after the covenant of Antichrist has been established to make the Jews peacefully worship in their eternal capital of Jerusalem, exactly in the middle Antichrist will break his word and will try to rule from the temple sitting as god (2 Thess 2:1, 3-4, 5), this is what is called as the abomination of desolation (Dan 9:27; Matt 24:15). 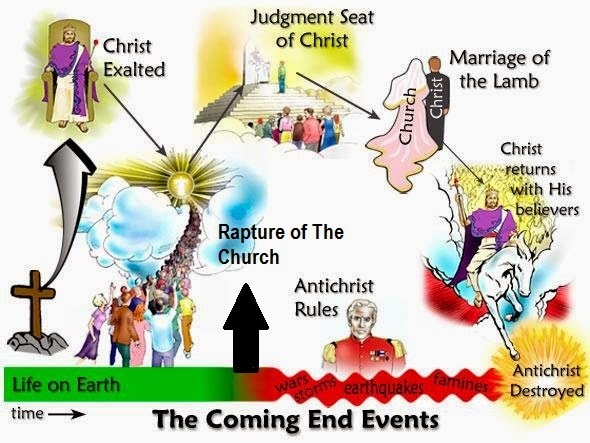 When the Antichrist starts to rule on earth, by that time the Church will be adorned and rewarded during the Judgment seat of Christ in heaven (2 Cor 5:10), followed by marriage of Christ with His Church in heaven after which supper or marriage celebratory feast will take place (Rev 19:7, 9). Glory to God!